I'm such a fan of Marina Rinaldi. 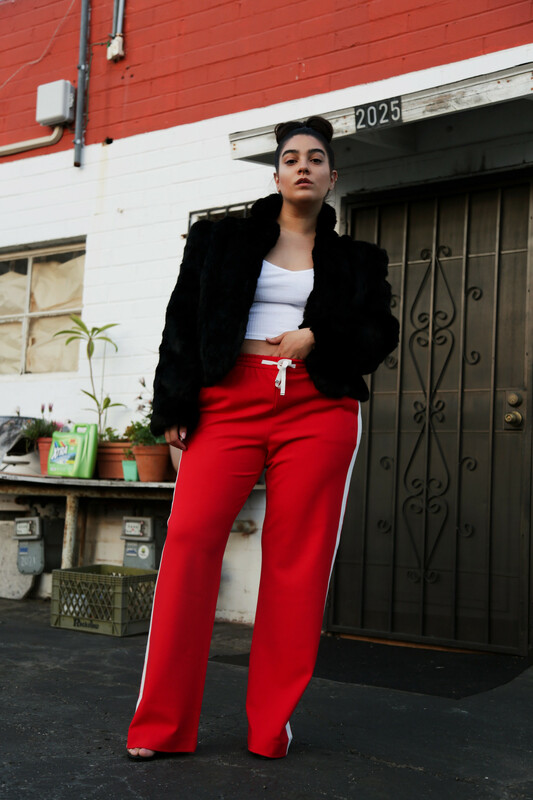 There are soooo many good pieces, especially trousers. I went on a trip a few years back to Thessaloniki, Greece and happened to be walking around and saw her store. I've been in love ever since. 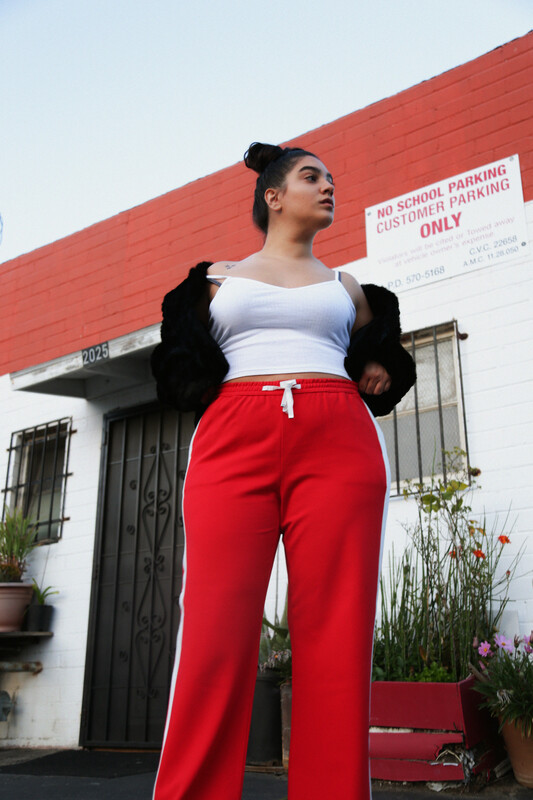 These red wide-cut trousers are from Marina. 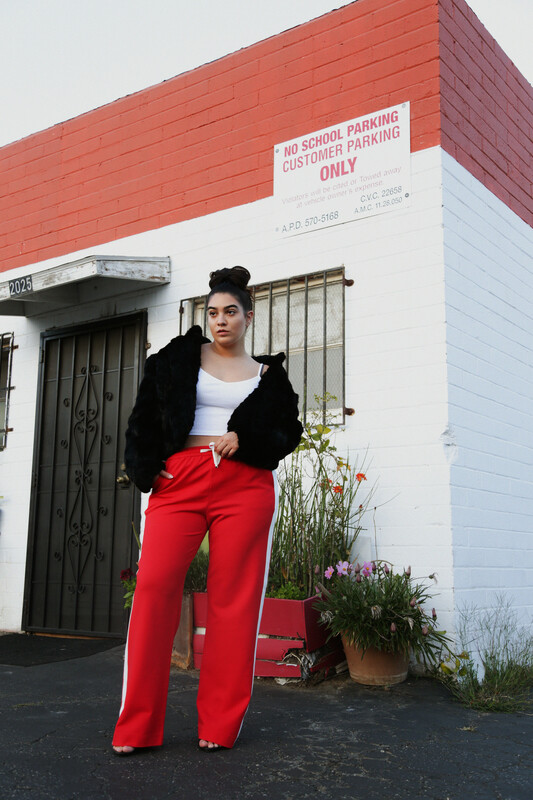 I threw on a wide ribbed crop top, a coat, and a pair of ankle strap black heels.